When it comes to a used SUV for sale, we understand that you want more than a car that looks good, you want a car that will run great as well. Which is why when you buy a used car or a used SUV for sale from Rusty Wallace Nissan you can have a peace of mind knowing that our vehicles have gone through a rigorous safety and performance inspection right here in Knoxville, TN. That is because when you drive off our used car lots, we want you to drive away with a smile and not a doubt in your mind that your used SUV is going to let you down. If it is a used SUV for sale that you are looking for come and see our wide selection of vehicles to choose from. When you need a car that you can pile your kids into that is not a used minivan for sale and a used car that can tow a small trailer you need to come and see one of the many used SUVs for sale at Rusty Wallace Nissan in Knoxville TN. Plus many the used SUV for sale in Knoxville feature high-end creature comforts including heated seats, a leather-wrapped steering wheel and even a turn by turn navigation system. 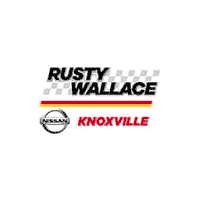 Here at Rusty Wallace, we have everything from a used Nissan Rogue SUV for sale, to a luxury used Cadillac Escalade SUV for sale and everything in between. Our used SUV vehicles for sale come in all shapes and sizes and are ready for you to take a test drive in and through the streets of Knoxville, TN.